European Commission has published a Synthesis Report called: “From University to Employment: Higher Education Provision and Labour Market Needs In the Western Balkans”. 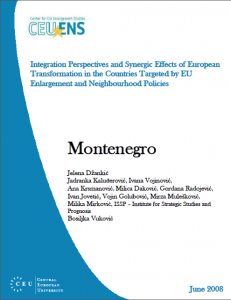 The Report for Montenegro was made by ISSP researchers: Jadranka Kaludjerovic, Milika Mirkovic and Jovana Strugar. ISSP conducted project “The new role of CSOs in the implementation and monitoring of public policy at the local level”. The project is financed by European Union and implemented in 10 municipalities in Montenegro. The main goal of the project is: Strengthening the role of CSOs and local governments in the implementation and monitoring of Strategic development plans at local level (SDPs). Specific objective of the project are strengthening capacities and involvement of CSOs in implementation and monitoring of SDPs at the local level and increase citizens’ awareness of the importance of SDPs in 10 Montenegrin municipalities. Expected results of the project are (i) increased inclusion of CSO’s in implementation and monitoring of strategic local plans through increase of CSOs representatives in consultative bodies; (ii) build capacities of local staff in municipalities for monitoring and evaluation through training programs and seminars; (iii) increased capacities of local CSO’s for monitoring of local public policies trough training programs and seminars (iv) established network of local CSOs for implementation and monitoring of SDPs; (v) enhanced and continuous communication between CSOs and local authorities through round tables, newsletter etc; (vi) raised awareness among citizens and CSOs on SDPs and results of their implementation. Regional Support for Inclusive Education” is a regional project for South East Europe. It enhances social inclusion and social cohesion in the region (in line with the Beneficiaries’ commitments to EU accession and Council of Europe standards) by promoting inclusive education and training. The project will promote the concept of inclusive education as a reform principle that respects and caters for diversity amongst all learners, with a specific focus on those who are at a higher risk of marginalization and exclusion. To increase the understanding of the benefits of inclusive education, the main activitieswill focus on 49 pilot schools (7 per beneficiary: 3 primary, 2 general secondary and 2 vocational secondary). The experiences gained from these pilot schools will provide policy makers with firm suggestions on how to scale up identified effective practices. This will enable them to cater for increased social diversity and more inclusive societies – for the benefit of all. The Project has a ‘bottom-up’ approach that will help policy makers move from experience in the field to mainstream education reforms. Strengthening the sustainability of the protected area system of Montenegro emerged as a major systematic effort to assist in capacity development of institutions and individuals mandated with protected, conservation and management of protected areas. The main objectives of this project are to expand and rationalize the protected area system in order to ensure better habitat representation and more secure conservation status as well as to strengthen the capacity of protected area institutions to more effectively manage a representative system of protected areas. Under the project “Catalyzing financial sustainability of protected areas in Montenegro’’ UNDP will assist in capacity development of institutions and individuals mandated with protection, conservation and management of protected areas. This project will improve the financial sustainability of PA system in MNE through enabling legal and policy environment for improvement financial sustainability, securing revenue streams for PA, and development of institutional and individual capacities of PA institutions to raise PA management cost-effectiveness while project Sustainability of the Protected Area System of Montenegro. Project will strengthen capacities of the protected area institutions to design, plan and manage a more representative system of PA through expanding and rationalizing PA system to ensure better habitat representation and more secure conservation status, and through strengthening capacities of PA institutions to effectively manage a more representative PA system. Local communities are key actors in addressing and implementing the goals for increased Energy Efficiency (EE) and promotion of Renewable Energy Sources (RES) which are contributing to achieving the 20/20/20 targets set by the EU. MED cities and regions have prepared their local energy strategies and action plans, but they are facing several obstacles hindering their efficient implementation. 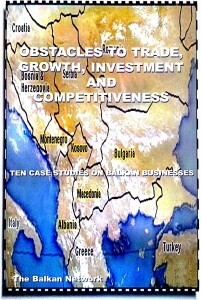 Obstacles include process and technological knowledge: lack of capacities regarding technical knowledge and standards for selecting the leading technological options and defining stricter public procurements rules, administrative and legislative barriers, lack of innovative financing options and lack of cooperation with stakeholders which would support decision-making and implementation of selected measures. Green Partnerships will connect cities and regions from 11 MED countries that will overcome the listed obstacles by establishing a common transnational approach with focus on creating local partnerships which will contribute to more efficient implementation of innovative EE and RES solutions leading to sustainable local and regional development. 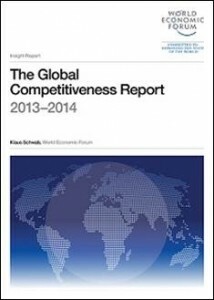 The Global Competitiveness Report 2013-2014 assesses the competitiveness landscape of 144 economies, providing insight into the drivers of their productivity and prosperity. 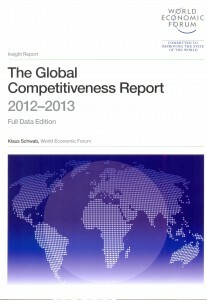 The Report series remains the most comprehensive assessment of national competitiveness worldwide. In the period 2012-2013 the ETF continued supporting a multi-country project in the region of the Western Balkans, Turkey and Israel, which involves the already well-established Regional Policy Network including representatives from your Ministry, the Centre for Vocational Education and Training, VET schools and different institutions in your country. This project is a result of ETF intervention in the area of VET for Social Inclusion and Social Cohesion. LSE Enterprise “The London School of Economics” consultancy, worked with a team of international experts and experts from the WBTI countries to implement this project. As a result of the project are 9 country reports. These 9 country reports seek to provide new evidence on the role of VET in combating social exclusion and contributing to building more cohesive societies. To achieve these aims, research teams in nine countries have been investigating the impact of VET practice and policy on social inclusion and social cohesion, focusing on three VET schools/training centres in each of the countries. The project has used the method of participatory action research which is a reflective process of problem solving led by researchers from the countries, engaging with practitioners at VET schools and associated community representatives. National and local policy makers, school professionals, students, employers, researchers and civil society organisation representatives, as members of the national and local advisory boards, have been working closely with the schools in this reflective process. “Research on the needs of women in rural areas 2011″ was conducted by ISSP together with the Ministry for Human and Minority Rights, Department for gender equality and Ministry of Agriculture and Rural Development. The research was conducted in 13 municipalities in Montenegro (Bar, Berane, Bijelo Polje, Cetinje, Danilovgrad, Herceg Novi, Kolašin, Nikšić, Plav, Pljevlja, Podgorica (Tuzi), Rožaje i Ulcinj). 1020 household was interview within the project. The goal of the project was to support the development of civil society in Montenegro through strengthening one of its pillars – the NGO sector. The project aimed to provide substantive and institutional assistance to several Montenegrin NGOs active in economic research (mainly for the Institute for Strategic Studies and Prognoses- ISSP from Podgorica). This support was provided in four activity blocks which were set up in close collaboration with the beneficiaries and were planned to improve research and institutional capacities after the completion of the project. The UNDP-GEF-Government of Montenegro project “Catalyzing financial sustainability of protected areas in Montenegro’’ aims to improve the financial sustainability of the national Protected Area System (PAS), through fostering a more enabling legal and policy environment, building institutional and individual capacity to improve the cost-effectiveness of protected areas (PAs), and securing new revenue streams. One of the project’s outputs is concerned specifically with generating information about the economic value of the national Protected Area System. The project was done for the needs of Center for EU Enlargement Studies, CEUENS. 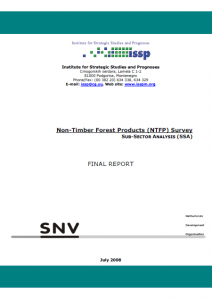 ISSP realized the project of research of non timber forestry products in Montenegro, for the needs of the SNV Netherlands Development Organization, including all important subjects involved in the value chain (collectors, middlemen, NTFP processors and exporters). 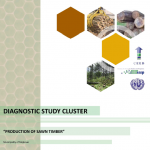 The main findings are presented, which have been grouped in two separate analyses. 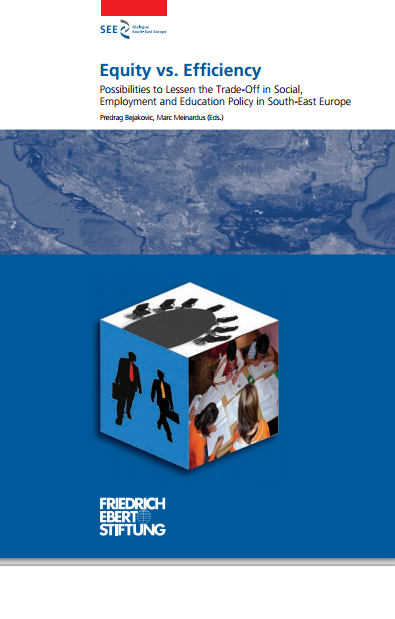 This paper is part of the regional study “Equity vs. efficiency” published by Friedrich Ebert Foundation (FES). The study offers regional and country specific research papers done by competent scholars of social sciences and economics. The aim of the book is both to analyse and propose measures for alleviating the widespread existing conflict between equity and efficiency in social policy in the broader sense: including social welfare, education and employment. Ms. Jadranka Kaludjerovic in her contribution explains the path from equity towards efficiency in Montenegro. framework of the PROGRESS programme for employment and social solidarity 2007-2013. 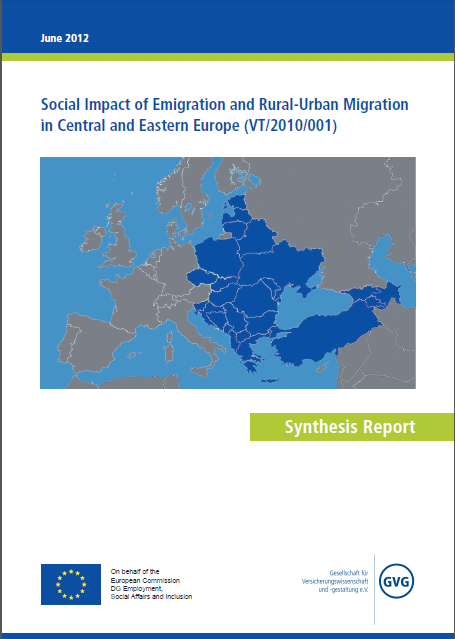 It seeks to provide a comparative knowledge assessment on international and internal migration in Central and Eastern Europe and a policy-oriented analysis of the impacts of migration on employment and the social and territorial cohesion of the migration source countries in the region in the last two decades. The study was done by Ms. Jadranka Kaludjerovic, with the assistance of Mr. Vladimir Grecic, Research Professor at the Institute of International Politics and Economics in Belgrade. The aim of the project is to create new macroeconomic model for Montenegro, which will be used for projections related to the financial sector. The project is done for the needs of the Montenegrin Securities Commission. This was the third school of economics organized by ISSP and MONSTAT. Its purpose was to inform participants of the program about the concepts, methodology and classification of statistical data and to train them to understand and use these data. Training program lasted three months, 23 participants from 15 different national ad local state institutions participated as well as 29 lecturers and trainers from country and abroad (among them also Mr. Pieter Everaers from EUROSTAT). In total 13 different subjects was covered including importance and role of the statistics in the EU integration process, EU statistical system, statistical system of Montenegro, and specific statistical areas such as SNA accounts, statistics of employment and unimplemented, price statistics, monetary statistics, structural business statistics, short terms business statistics, agricultural statistics etc. These subjects were covered through the 58 hours of lessons and additional number of trainings. In total participant received 330 pages of training materials. Institute for Strategic Studies and Prognoses in cooperation with MONSTAT organized School of Statistics in 2006 and 2007. The aim of the project was education of public officials in statistical and research techniques and methodologies and efficient use of statistical information in the preparation of analysis. These two Schools (in 2006 and 2007) were titled: “Education in the function of implementation of Law of statistics” and “Statistical system in Montenegro” and were also aimed to help full and efficient implementation of the new Law on Statistics that was adopted at that time in Montenegro. The main goal of the project, supported by the Foundation Open Society institute-OSI ZUG, was to prepare in dept study and major set of policy recommendations on the property tax devolution and urban land development fees and charges as the devolution of the property tax and land fees is under way in the country. The specific goals of the project are: to analyze and assess the current regulatory framework in which municipalities operate, related to the urban land finance issues; to analyze and assess specific mechanisms used in elected Montenegrin municipalities and to offer suggestions regarding identified conceptual and technical difficulties. The final study has two main parts. The first part provides analysis of the current constitutional and legal framework for local urban land policy development, as well as its assessment, from the point of view of economic efficiency and consistency of existing mechanisms. The second part provides overview of five specific urban land finance systems used by the following municipalities: Bijelo Polje, Budva, Bar, Kotor, Žabljak and Nikšić. The third/final part provides some specific suggestions and recommendations derived from the conducted analysis and research. The study was prepared in electronic form and was available to the public. The analysis includes analyses of data and trends in tourism activities during the three periods of time. The first period is related to the development of Montenegrin tourism offer when it was one of the six Yugoslav republics (to the end of eighties), the second period covers period of nineties (the most difficult years for tourism in Montenegro), while the third period covers the first decade of 21. century (the period of significant improvement in the sector). The main aim of maritime sector analysis is to present realistic picture of the current status of Montenegrin maritime sector, identify major potentials and problems and give recommendations for the future activities and policies related to this sector. The special focus is put on statistical data, institutional framework information, regulation, available resources, privatization and education. ISSP is 10% project partner in VIBE project, which is done jointly with several project partners from across the region. VIBE addresses the challenge of developing the innovation and entrepreneurship system across the South East Europe by enabling private investment into innovative entrepreneurial companies in partnership with smart public initiatives and investment. VIBE offers an transnational integrated approach, providing efficient support to both investors, policy makers and agencies and of course high-growth entrepreneurs across the Regions. The project implemented with the support of UNIDO, aims to reduce regional economic and social disparities through the improvement and creation of livelihood and employment opportunities in the Northern region of Montenegro. The project aims to promote social and environmental sustainability and raise awareness about the importance of sustainable development among rural enterprise linked as well as support local institutions, government and other stakeholders. Activities are focused on analyses analysis of current situation and concentration assessment of MSMEs in areas such as organic food production, wood processing, horticulture, fisheries, textiles, leather etc, as well as analysis of the main capabilities and services that are offered by relevant public and private sector business support and advisory institutions. The outputs of the project would be concentration assessment of SMEs, database of SMEs, diagnostic study on 3 potential clusters and comprehensive reports on the cluster development. The study, prepared for the needs of the European Commission, DG Information Society and Media, has main goal to present current situation in research area of ICT in Montenegro and examine national research potential that could become part of ICT research area in EU: Study explore Montenegrin ICT RTD policy environment with main opportunities and barriers. It presents the current status of ICT RTD activities that were done in Montenegro in order to identify key players potential t be involved in FP7 ICT Theme Challenge and Objectives. Finally, the study provide recommendations on national and European level that could be done in order to include Montenegrin research capacities in area of ICT in private and public sector. The deliverables under the project are 9 reports, out of which the last one would be produced in a public version. The main goal of the study is to present up-to date and relevant analysis of the current state and recent trends on the labor market in Montenegro. The project is done for the needs of European Commission, DG Employment, Social Affairs and Equal Opportunity. Its special purpose is related to the assessment of the current economic policies as well as of the adequacy and future sustainability of the employment polices, the capacity of labor market institutions and their internal cooperation, including social dialogue in Montenegro. 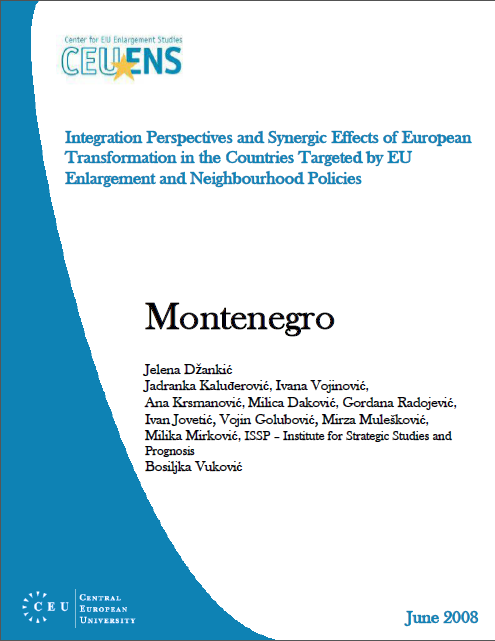 Study also should explore and identify what are the key future employment policy challenges for Montenegro in the light of its EU integration process. The results of the action would be comprehensive report in English, with executive summaries in English, French, German and Montenegrin, which will be presented at the round table event. 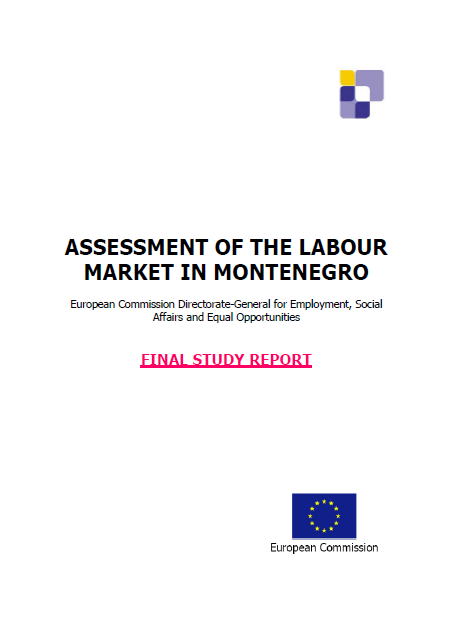 The special value added of this report will be thorough and comprehensive analysis of the administrative capacity of Montenegro to effectively implement employment policies and assessment of the current phase of the labor market institutional building. The objectives of the project were to do new measurement of poverty rate and access magnitude of social exclusion nMontenegro. The objectives of ISSP work under this project were: to develop research plan and detailed appropriate methodology with regard to the concept of social exclusion and HD index, to develop a questionnaire for surveys that could provide quantitative information on various aspects of social exclusion, to conduct quantitative and qualitative research according to the time line of the project, to process quantitative ad qualitative data and articulate research findings mm based on the quantitative data obtained to calculate set of indicators that will be used for the analytical part of the study as well as for the NHDR indexes. The main outputs of the work are: a database of the research data outlining the status if the households regarding social inclusion and human poverty, a set of social inclusion indicators, written analysis on social exclusion aspects with the data interpretation, main finings, policy recommendation and detailed methodology, set of Millennium Development Goals Indicators, HD indexes (HDI, HPI, GDI, GEM) based on accepted UN methodology. The overall study, HDR: Montenegro Country for All, was published by UNDP. The project goal is to analyze and to assess the impact of future demographic changes on Montenegrin pension system. The project is supported by Ministry of Finance of Montenegro, Montenegro Pension System Administration Investment Project financed by WB. 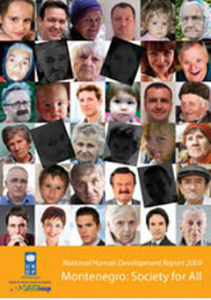 The objective of the project is to provide detailed analysis of the demographic trends and changes of demographic structure according to different criteria and assessment of effects and impacts of these changes on economic and social trends in Montenegro, primarily on the number and structure of pensioners as well as on overall pension system. Specifically, the project defines which requirements would future demographic trends put in front of the pension reform. The research is focused on: analysis of current demographic structure of population in Montenegro, projections of future demographic structure of the population (with details provided on the age and gender specific structure of the population age and gender specific mortality rates, fertility rates and imagination), as well as assessment and analysis of the impact of future demographic trends on the pension system and its implications on the design of the pension reform. Up to now results of the project are: 6 laws analyzed and recommendations for the changes prepared and submitted (10 focus groups organized in order to collect opinions of different stakeholders), sectorial econometric model created, desk research on grey economy conducted, field survey conducted in order to estimate the level of the grey economy (sample of 1500 households), field research on the different types of the grey economy (sample of 100 street and market sellers) and research on the business procedures (sample of 6 municipalities). Is social policy in Montenegro targeted properly? The aim of the analysis was to define and calculate the impact of the industry sector on the overall economic situation inMontenegro, i.e. main macroeconomic indicators. The specific objectives were to estimate the impact of the main industrial producers and their volume of production on the economic performance of the country. The projects offered several scenarios of the future economic development, or in more details trends of the main macroeconomic indicators based on the different performances of main industrial produces. 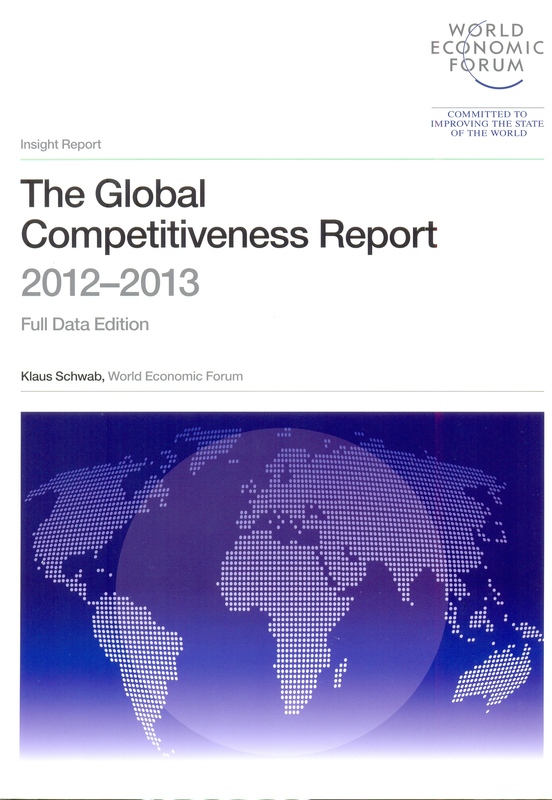 The analysis was used by the Government as input for economic analysis and future policy decisions in this area. The project is done for the needs of the Ministry of Economy of Montenegrin Government. The main goal of the project, done in cooperation with Employment Fund of Montenegro, was to determine what are the main characteristics of the labor force inMontenegro, i.e. to collect data on employed, unemployed and inactive population inMontenegro. The survey included 1550 households and 4711 individuals aged over 15 years in all Montenegrin municipalities. The survey questionnaire included 113 questions, related to the activity of individuals, the labor force status, opinion on the barriers for employment and set of questions that are related to the informal economy. Methodologies used during the survey design and processing are the standards and the convention of the International Labor Organisation. 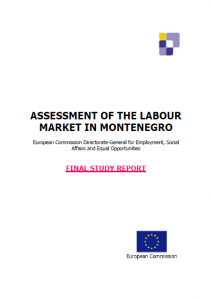 Final result of the project was detailed report (prepared and published on Montenegrin and English language) on employment situation inMontenegro. This complex report provides comprehensive data, which pose a good base for the policy making in the area of employment as well is in the areas of fiscal and social policy. 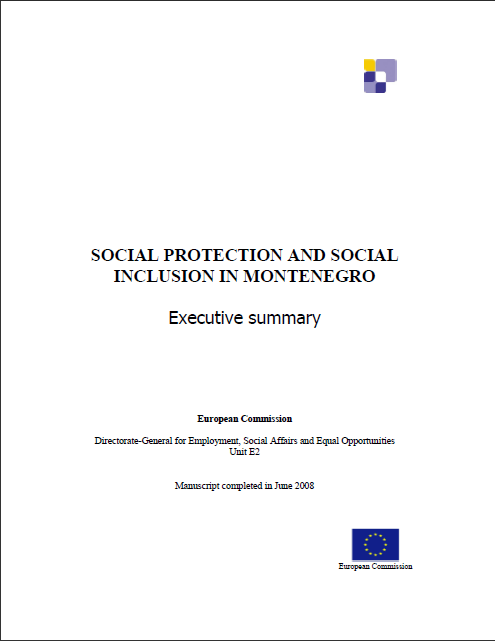 Main objective of the action was to provide up-to-date and relevant analysis and information on Montenegrin structure of social protection system, extent and pattern of poverty and social exclusion, as well as anticipated reforms for social protection system (pensions and health sector) and social exclusion for the needs of the European Commission DG Employment, Social Affairs and Equal Opportunity. 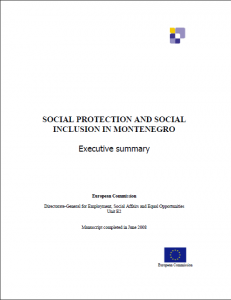 Result of the project is clear diagnostic document on the state of affairs in the social protection sector, with special emphasis on the pensions, health and poverty issues in Montenegro. The study gives an up-to-date analysis of the current system, based on an analysis of economic, demographic, and labor market trends that influence social protection, as well as analyses of the social welfare system and the pension and health systems. 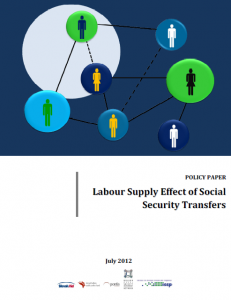 The study describes the main institutions and the legislation of the current social protection system, as well as current reforms and challenges. The purpose of this study is to inform, within the context of launching similar studies in Albania, BiH, Serbia and Kosovo, the Montenegrin perspective on the process of accession in the area of social protection and social inclusion in the Western Balkans. 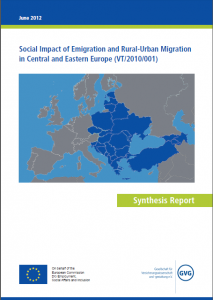 The study is presented in line with EU objectives on social protection and social inclusion. The aim of the project, financed by the FORCEMontenegro, was to asses and analyze the socioeconomic situation in each of 13 municipalities inNorthern Montenegroin order to create basis for future policy decisions as well as baseline for monitoring of implementation of future policy measures. Specific activities under the project included: collection of all necessary data and information on socioeconomic situation of 13 municipalities including: geography and topography, natural resources, population and demographic characteristics, human resources and labor market, infrastructure, economy, its structure and performance; based on the data collected preparation of an analysis of the socioeconomic situation in each of thirteen municipalities, definition of main problems and issues for the improvement of social and economic situation in each municipality based on the data and information collected as well as analyses prepared and identify main areas in which relevant data, which would be of the significant importance for the future design of national or local policies, do not exits. 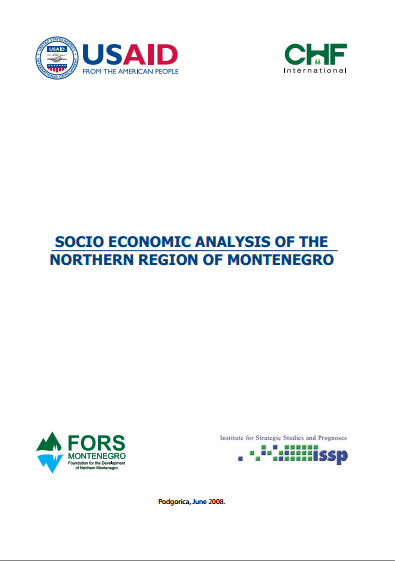 The final study was prepared in electronic version available to the public, and was used as significant and reliable data and information source for many activities conducted by government and non government sectors in the area of economic development of the northern Montenegrin region. The basic aim of the project is to analyze and research the characteristics and the development potential of the capital market in Montenegro for the purpose of facilitating pension reform. The basic aim of the research is to provide a projection of the future development of the capital market, particularly taking into account the planned reform of the pension system and the need for secure investment of capital by pension funds. The research shall focus on the following: a) analyzing capital market performance inMontenegro, b) analyzing the readiness of the citizens to “save for the old age”, to invest and to carry financial responsibility and c) determining the influence which the further development of the capital market would have on the development of private pension funds and on economic growth. The project is financed by the World Bank. Project was realized for the needs of the Montenegrin Pension Fund. The project gives estimations of the financial sustainability of the Pension Fund during the period 2005 -2008. As part of the project, projections of the demographic trends, number of pensioners, numbers of contributors, incomes and expenditures of the Funs were conducted. More then 20 scenarios of the financial sustainability was preformed. With the support of UNDP ISSP prepared report on human development inMontenegro. The report presents the comprehensive report on different aspects of human development inMontenegrowith the special focus on multiculturalism. The title of the report is “Diversities – development potential”. The significant number of experts of different profile was involved in the preparation of this document. The public discussion was also organized in order to improve findings for the report. The report was presented at the end of 2005. It is important to emphasize that this reports has most updated database (end 2004). Institute for Strategic Studies and Prognoses in cooperation with Secretariat for Development and ICT enterprises- Cikom, Jugodata and Digit Montenegro started with project named “Survey on PC and Internet usage in Montenegro”. 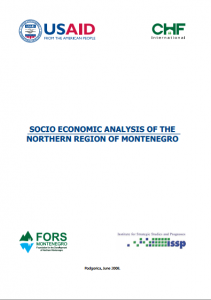 This report presents an analysis of ICT market in Montenegro, targeting households, enterprises and ICT enterprises in Montenegro. It offers information about level of information society development, PC and Internet usage, business barriers, information literacy and PC education level among households and enterprises. The document also presents overview of ICT market in Montenegro. It is one of the first projects/surveys in area of ICT in Montenegro and is data basis for the future projects, as well. This research, having as a subject the issue of health economics, would be completely innovative research for Montenegro and will have significant value for development of the Montenegrin economic analysis and research area. Smoking is one of the major factors that influence population’s health in Montenegro. On the other side there is no statistical data on number of smokers in Montenegro or costs of tobacco use and there is no antismoking strategic policy defined. Having this on mind it would be very valuable and useful to estimate the costs of tobacco use in Montenegro in order to increase awareness of population and provide a good base for policy recommendations. Project “Macroeconomic model for Montenegro” is project realized in cooperation with the Economic Institute of the Law Faculty in Ljubljana, (Slovenia) for the needs of the Montenegrin Central Bank. The aim of the project is to build a macroeconomic model for Montenegro that can be used for economic projections and maintenance of economic policies. It was done in 2005, and later improved in 2006 and 2007. In the year of 2007 new models were created: model for the estimation of inflation, model of leading indicators for predicting the movements of economic activity, model of stress testing and 3 sectorial models (investments, balance of payments and fiscal sector). This project represented the initial phase of using and developing respective models in Montenegro. This report presents an analysis of the current status of economic, social and democratic reform processes in Montenegro. It offers recommendations for future steps and actions that will contribute to further improvement of the overall Montenegrin society. In addition, the document also provides a basis for the round table discussions that will provide additional input for the USAID mid-term strategy. Examination of the current transitional process is done through analysis of Ron Sprout performance indicators, or in some cases by defining new indicators and their analysis. The report covers three areas: economic transition, democratic transition and social transition. The Government of Montenegro established a Commission headed by the Minister of Labor and Social Welfare To achieve the development and implementation of the national strategy for resolving the problems of refugees and internally displaced persons. The Commission prepared the project task, i.e. expected structure and content of the future national strategy. Based on their references, the Commission appointed ISSP to work on the national strategy development. This research will expand the knowledge about the impact of different measures of the trade policy on poverty. It will fill the exiting gap in Montenegro between research about households from one side and research on general economic policies that are maintained. The fact that this kind of research has never been done in Montenegro is one of the reasons why it would be of the great interest. In addition the research will open a whole range of questions that will present a challenge for further research in this area. The goal of this project is to highlight that everything that was happening over the last decade in Montenegro shows the need for affirmation of the new development concept. For countries in transition, such as Montenegro, human development, understood as a process of increasing the alternatives of choices that one has in front of him, as well as an increase of man’s capabilities for selection, is very important in its further development. The basis for the analysis of the agriculture sector is its current state that is illustrated with the existing level and structure of agriculture production and natural, human and technical resources. The special segment of the analysis is legal and institutional framework. Measures of protection are analyzed from the standpoint of the impact on performance of the agricultural sector taking into consideration existing measures of protection of agriculture production on competitive markets. This project represents on field research (through interviews and data analysis) the possible effects of the EU accession on businesses. The ISSP representatives have participated in part related to effects on Montenegrin businesses. The main goal of this project is identification of transaction costs that make business more expensive and presentation of recommendations for its elimination. These costs often are not interesting for academicals discussion and public policies, but in practice they significant obstruct market transactions and make them not to happen. The main goal of the project is identification of needs for companies’ takeover and recommendation of regulatory solutions that will regulate this issue. The project analyzes institutional framework in Montenegro, in order to affirm clauses of the different regulations that are not coordinate with the concept for the capital market and securities in Montenegro development, and to indicate possible solutions that will resolve incompatibility. FIAS (Foreign Investment Advisory Service of the World Bank) was invited, by the Montenegrin prime Minister, in June 2003 to prepare the diagnostic of the investment climate in Montenegro. Working with its nominated counterpart, ISSP, the FIAS team spent two weeks in Montenegro in July, interviewing a broad swath of representatives from the public and private sectors. The FIAS team then prepared their draft report, which was presented at the round table prepared by ISSP team. Economic reform Agenda is a strategic document for a Government in which the commitments for reforms in the four years period are stated. The project was done twice, once in 2002 and the second time in 2003 year, for the needs of Central Bank of Montenegro. It includes analytical basis for the recommendations that Government of Montenegro obtains from Central Bank. As the main goals of this economic policies were proclaimed macroeconomic stability and net increase of number of employees that should be achieved through fiscal and monetary policies, improvement in business regulatory system and protection of private property as well as improvement in legislative system. The aim of Transition Report is to deal with the main events, which have taken place in the process of transition in which Montenegro has faced a lot of changes in its socio-economic environment. The publication includes all the reforms that were introduced in our society in the mentioned period and points at the need for the improvement of the business environment, openness and internationalism, deregulation of macroeconomic activities and economic policy etc. This publication is intended to complement the existing sources of household data for the regular Montenegrin population, for the above mentioned society’s groups (RAE) have not been included in the poverty assessments, which were produced so far. The aim of the study is to contribute to our better understanding of the poverty level and vulnerability of certain groups in our society and is a best practice for including marginalized groups in the process of the overall reforms and for overcoming sensitive cultural issues. The project is the comprehensive presentation of macroeconomic statistics in Montenegro for 2002. This study provides an overview of the profile of the poverty and living standards in Montenegro using the most recent and best data available. By presenting an array of important results, this document serves as a platform for important discussions in Montenegro on poverty reduction strategies and efforts to monitor progress in their implementation and in the same time highlights that it is important to evaluate the potential impact of economic reforms on the poorest in Montenegro who remain vulnerable to changes in the economic environment. The result of this project was a calculation of GDP for Montenegro for 2001. The importance of this figure is that it was not available in Montenegro and the ISSP was the first institution that calculated it based on internationally accepted methodology. The Montenegrin Government adopted the ISSP calculation as the official figure for Montenegrin GDP. The purpose of this book is to give an overview of the new legislation and some of the other changes of interest to the business community. Business owners and managers need to be aware of their right in the new business environment, so they can take advantage of the new rules and tools, and their obligations is to ensure that they are in the compliance with the new regulations. The National Integrity System is an all-encompass ing method of fighting corruption in a country. The system is based on eleven ”pillars” the legislative and executive power, the Auditor General, the judiciary, the ombudsman, public services, anti-corruption agencies, the media, civil society, the private sector and international subjects. This study represents practically oriented research into the main causes of corruption in the key sectors of society, providing specific suggestions for anti-corruption activities in Montenegro. The study was done for the needs of the World Bank. The objective of this study is to present the privatization process in Montenegro in terms of basic results, problems and experience gathered from past privatization drives in the country. The purpose of this project was to offer demographic data, since the last census in Montenegro was done in 1991. The projects offer projections of demographic data until 2021. The projects were done by analytical method while the hypotheses were defined based on migration data until 1996. The aim of this project was to present trends describing how the Montenegrin economy is aging and explain their impact on the Montenegrin economy. Bearing in mind the importance of the statistical system and work of statistical departments on economic development, the reform of the statistical system is needed. This project suggests the principles on which the statistical system should be based, organization of the statistical system, and steps that have to be taken in order to reform the statistical system in Montenegro. The project consists of analysis of the current ”pay as you go” pension system in general and this system in Montenegro with the explanation of the difficulties that Montenegrin system is facing, and analysis of the system of private pension funds. In addition this project presents the modern trend in the pension systems with a special focus on the Chilean system and a comparison between systems in Britain and Japan. The purpose of this paper is to discuss objectives and set out the range of possible options for utility regulation in Montenegro. It is intended to form a common basis for discussing the development of a regulatory framework. The project presents the concept of Montenegro as a micro-state from an economic point of view, and answers the question: How should the state in Montenegro be organized so it can contribute to the highest economic efficiency and prosperity? This question analyzes the practice and process of globalization and information dissemination within a context whereby the state is socially aware. The importance of the introduction of the SNA system in Montenegro is analyzed in this project. 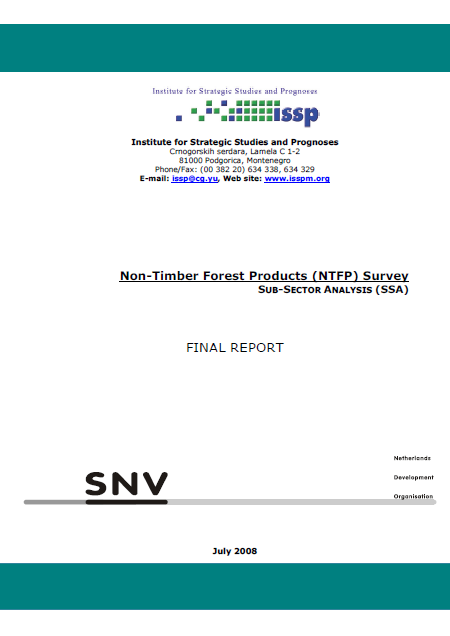 The project offers, in its first part, a description of the SNA system. The second part presents and analyzes preconditions to be fulfilled before the SNA system can be implemented, as well as steps in the process of implementation. Special focuses of the project are obstacles and problems that will be faced in the process of SNA implementation, and solutions for overcoming them. The main goal of this project is to point out that creation of new economic system, new concept of state organization and pre – qualification and investments into human capital are ”foundation stones” of Europezation of Montenegro and her long – term stability. Institutional and mental reconstruction is precondition for economic and social reconstruction of Montenegro. Montenegrin economic system longs for very liberal market economy and organization of Montenegro at principle of microstate. Concept of microstate is in accordance to key resource of Montenegro and that are services, before all tourism. Within the scope of this project was also organized conference in Brussels. The five institutes, members of the Balkan Network, each interviewed twenty-five companies (eight domestic, eight regional and eight international companies) and summarized the results of the surveys. The results were further investigated by doing in depth case studies, two per each institute, of companies that had experienced at least one of three obstacles most frequently citied in the questionnaire. Ten first-person stories, case studies, about how entrepreneurs in the Balkans cope with obstacles to the success of their businesses were published in this publication. 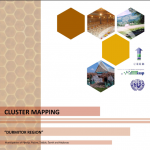 The project was conductedin cooperation with ICER (International Center for Economic research), Torino. The document is analyzing arguments for and against liberalization and free trade as the desirable trade regime in Montenegro. In addition it offers some policy recommendation in respect to liberalization and the opening of the Montenegrin economy. The paper showed that opening up the Montenegrin economy is a necessary condition for success; but it is not sufficient. This project explains the organization of institutional framework and infrastructure that will provide stability of financial system and risk reduction that will serve capital market development. This was the first survey done among Montenegrin banks. The survey offered reliable data on number of banks and their employees, the banking services, the banking business results, interest rates on credits and deposits etc. This project is targeted primarily at offering, on the basis of the existing situation, a proposal of a fiscal reform strategy. It also defines the fundamental dimension of the reform in key fields (areas) in conformity with principles and standards recognized in the world. Goal of the project “War damage estimation” was to quantify economic consequences of NATO bombing on the Montenegrin economy. The results of this project were beneficial for creating some strategic development and reform processes in Montenegro and focusing of the international aid flows. However, this is a note about the hard time that we had at the end of the twentieth-century and the consequences and impact this had on Montenegro and Montenegrin population. This project analyzes alternative solutions to the organization of monetary power in Montenegro. Relative costs and benefits from the perspective of the development of Montenegrin economy have been calculated for all of them. The analysis puts a special focus on the economic policy factors that will influence the introduction of DEM as the official currency, as well as practical issues (such as the issue of duties in dinars) of joining the DEM zone. Privatization has been one of the most important issues in the transition process in Montenegro, this project considers the concept of privatization based on the analysis of the economic situation in Montenegro and experience that other countries had in the privatization process. It offers practical models and methods of privatization and its importance lays in the proposed solutions for the privatization process in Montenegro. This material was created as an answer to the question “What economic system should Montenegro have”? The document discusses new system concepts and development, as opposed to more classical theory and deterministic constructions based on dubious foundations. The picture of a new economic system that should be compatible to the EU economic system, and makes possible internationalization of the economy, is also detailed in this document.